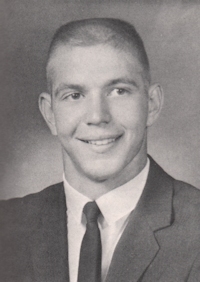 Obituary – Passow, Mark Edward « Perry High School Alumni Association, Inc.
Football ’63-’66, Football Tri-Captain ’65-’66, Basketball ’63-’66, Track ’63-’66, Baseball ’63-’66, F. T. A. ’65-’66, All-Around Athlete ’64-’65, Annual King Att. ’63-’64, Student Council Vice-Pres. ’65-’66, Jr. Play Comm. ’64-’65, Sr. Play Comm. ’65-’66, Senior Personality-All Around ’65-’66. 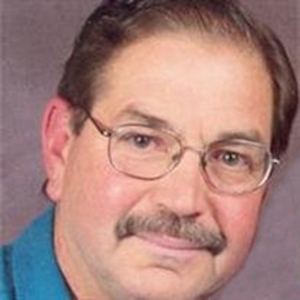 Mark Edward Passow, 59, of Fort Collins, died suddenly on May 21, 2007, of a heart attack. He was born in Perry, OK on January 3, 1948. A high school and college athlete, and a proud southpaw, Mark robbed the cradle by marrying Brenda Bryant on May 26, 1974. He earned a Bachelor’s degree in Marketing from Central State University in Edmond, Oklahoma, and commenced upon an illustrious career in the tire industry. One month after their marriage, Mark and Brenda moved to Colorado. He was most recently employed at Colorado State University in Central Receiving, where he delighted in surprising frequent clients on his delivery routes with holiday themed goodies, food, and CD mixes. An entrepreneur at heart, Mark excelled as a lumberjack, inner tube salesman to sledders and rafters, a pro at four-handed Hearts, an expert cat-herder as designated driver at Fort Collins’ Beerfest, a warm lap for Stubby the cat, a fan of any sport (especially CSU Rams and Denver Broncos), and a master of the BBQ grill. When daughter Kay Elizabeth was born, Mark went home from the hospital and played “My Girl” all night. With son Justin Bryant, Mark indulged in the manly-man traditional reaction of, “I have a son!” Adding to his resume, Mark became family filmographer by recording the births of grandsons Bryant Marcus Michael and Kanyon Joseph, for Justin and their mother Leah Clark. Aunt Melba, his mother’s sister, was like a second mother to Mark. His chosen family includes dear friends Ken, JoAnne, Daniel, Laura, and Kathryn Klein. The family wishes to thank Poudre Valley Hospital Chaplain Phil Koster, grief counselor Stephen Flynn, Dan Kelso and all the CSU Central Receiving Staff. Memorial service will be held at 4:30pm, Friday, May 25, 2007 at Allnutt Drake Road Chapel. Donations in memory of Mark may be made to the USO, American Cancer Society, or The Larimer County Humane Society in care of Allnutt Funeral Service, 650 W. Drake Road, Fort Collins, CO 80526.